Sailing is an international sport that offers many rewards. Imagine white sails billowing against a clear sky, the brisk feel of the breeze on your face, and the gentle motions of the boat as it cleanly slices through the water. While sailing is a great way to enjoy the outdoors, it also requires you to be an active participant more than almost any other type of boating. Richard Henry Dana, a law student turned sailor for health reasons, sailed in 1834 aboard the brig Pilgrim on a voyage from Boston around Cape Horn to California. 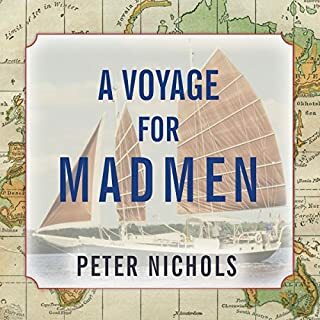 Drawing from his journals, Two Years Before the Mast gives a vivid and detailed account, shrewdly observed and beautifully described, of a common sailor's wretched treatment at sea, and of a way of life virtually unknown at that time. Celestial Navigation for the Complete Idiot is groundbreaking not because of what it has, but what it doesn't have: no mathematics problems; no astronomical talk; and no big words you've never heard of. 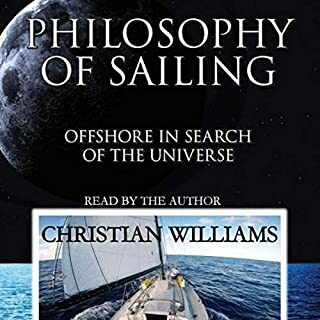 Sailor-author Gene Grossman finally breaks this wonderful subject down into plain English and explains it in such a way that you will no longer have any excuse to claim that you know nothing about the valuable boater's subject of celestial navigation. The Vendée Globe, a grueling four-month sail around the world, traveling through the wild waters of the Southern Ocean, is the most demanding and dangerous sailing race on the planet. In November 1996, 14 men and 2 women competitors set out on this ultimate human endeavor. Godforsaken Sea chronicles their solitary battles to stay alive against 6-story waves, bone-chilling cold, ice-laden seas, and their own physical and mental limitations. 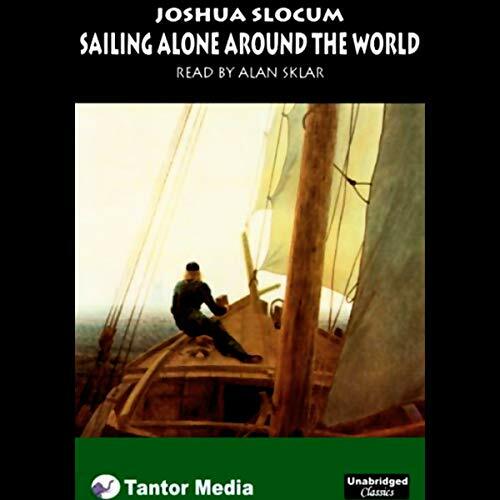 Joshua Slocum was believed to be the first man to sail single-handed around the world. 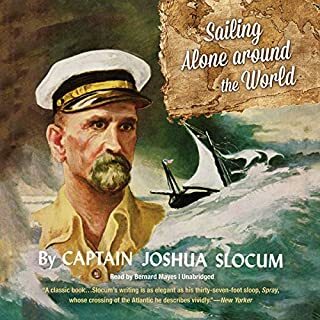 After a distinguished career, where he worked his way up from cabin boy to captain, Joshua Slocum wrecked his ship off the coast of Brazil. Turning this catastrophe to his advantage, he built a sailing canoe from the wreckage and sailed back to New York. Moreover, he wrote Voyage of the Liberdad, a chronicle of his trip, and earned some literary success. This was the spur to attempt his perilous voyage alone around the world. Having lost his fortune in the shipwreck, Slocum began his adventure nearly penniless. He was given the Spray, a century old oyster boat that "wants some repairs". Two years and $500 later he had rebuilt the wreck into an oceangoing wonder. On his 40,000 mile, three year voyage, Slocum visited six of the seven continents where he met cannibals, presidents, outlaws, and ambassadors. Amazingly, throughout he lived 'off the land' as it were, fishing, trading, and giving lectures to keep his pantry full. He also met some remarkable people including Mrs. Robert Louis Stevenson and Paul Kruger, who, believing the world was flat, warned Slocum not to fall off! This adventure will captivate sailors and landlubbers alike. Public Domain (P)2003 Tantor Media, Inc. The narrator makes or breaks an audio book. Unfortunately Mr. Sklar's style is very tiresome and would undoubtedly raise the ire of Joshua Slocum himself. This is not a ho-hum story or sentimental homily to be read in funereal tones. Read the book instead... it's much more exciting. A wonderful use of the English language of a true adventurer and navigator. We use satalite navigation Joshua Slocum only had a wind up alarm clock with a broken hand but could calculate his exact position. This version has a better narrator then the other version listed on Audible. It’s a great book and a must for would be adventurers. Way back in the day, this is how they used to talk and sail. My how language, sailing and culture have changed. My insomnia helped this book and the book helped my insomnia. After a couple hours, the language turned from a challenge into a charming reminder that I needed to keep my frame of reference turned back a couple centuries. I'm pleased that I kept on until the end. The title of this book says it all about the premise. 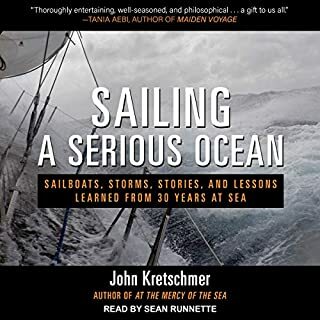 Was an excellent listen, with tales from the sea the world over. What an adventure, always inspiring. Mr. Slocum will be always be a legend. 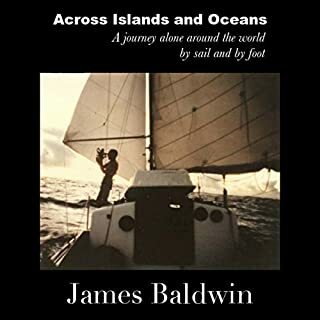 I would have a map ready to follow his voyage if you don't know common sailing voyages. 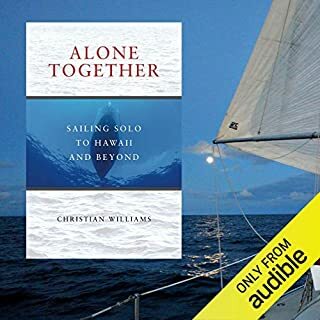 As a sailor, I really loved this book. It was a departure from the sci-fi that I normally read or listen to, but I loved every minute of it. The narration is great and the story is epic. I got so intrigued with the story, I went to Google Earth to try to follow the route and was thrilled to discover an app that shows the entire course around the world, along with quotes from the book. If you want to get the most from the book, I'd suggest you do this as well. A unique view of a period, long ago, when a solo effort had NONE of any modern aids or communications. Many hours of his pompous, bragging drool. Fierce storms, sharks, Fuegian pirates - a true adventure worth it for any other adventurer to enjoy. A piece of yachting history. It's the late 1890s, when people were unspoiled by the trappings of our age. Wonderful. I grumbled a bit to myself about the reader, who has an unusual delivery, but in a way it suited the pared-down telling of yhis story. Very interesting story and well narrated adventure. would happily recommend to anyone with an interest in escaping. My all time favourite book. Read the book several times and due to the excellent narrator on this audio book, Alan Sklar, I'll be listening to this audio book multiple times. Totally and utterly essential reading or listening.